There are distinct levels of engagement: at the bottom, a voter just hears about the campaign; at the top, a voter becomes involved in your organization. The scale of engagement assumes that once you register and ID a voter and she promises to vote, you will contact her at least two more times – but in some cases more than that. 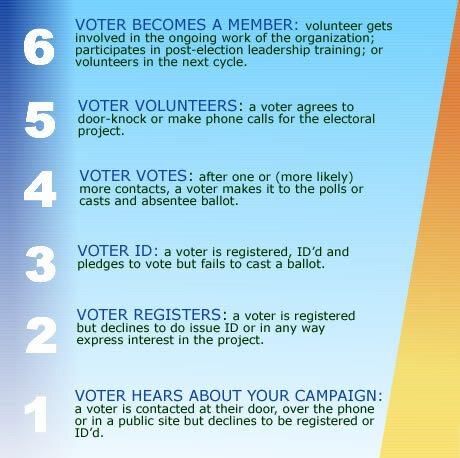 It takes effort to get a voter from step one to step six, but it’s well worth it.